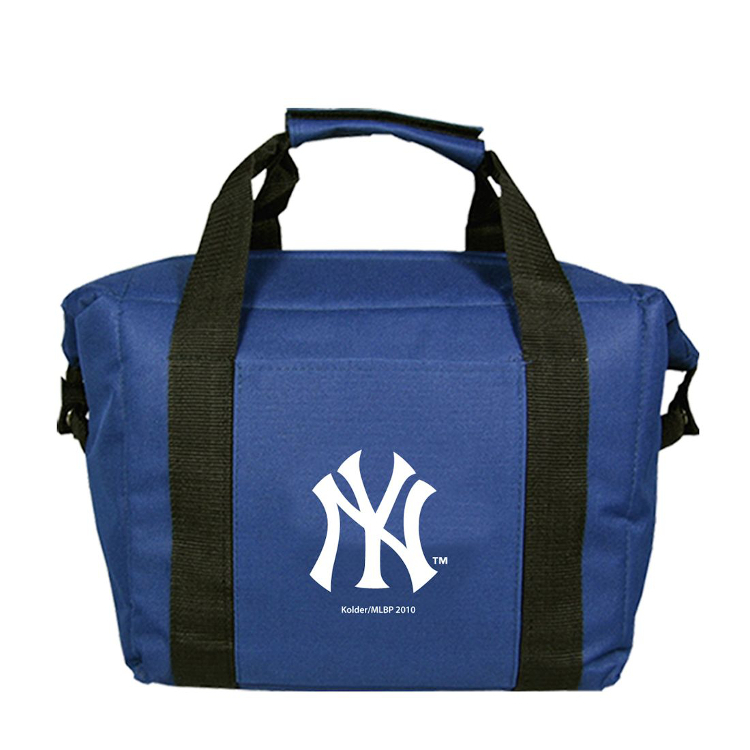 Kolder&apos;s Kooler Bag is a must have for game day fans and tailgaters. Inside each of the soft sided ice-chests sits a heat sealed interior liner, designed to hold up to 12 drinks with ice. The outside of the bag is made of a high quality polyester. One of the handles has a velcro attachment to keep both handles together while carrying. The front of the bag also has a big pocket to store other items. The bag is approximately 13"x9.5"x7".